The world of digital marketing is huge and highly competitive in today’s time. It is difficult for all the naive faces who set their foot in this industry, to find their niche. Don’t you guys worry as the following content will help you to understand the essential digital marketing skills! If we talk about the digital marketing world, then you all must be aware that there are numerous things going on at once. To be able to keep an eye on each one of them, you need to be attentive and should be able to multitask. You may have to read the latest content, see the relevant texts on the social media platforms, do reports, all at the same time. As mentioned before- the span of this field is really wide. If you are keen and curious to learn more then you will really find this field alluring. Craving for knowledge and learning new things on a daily basis will give you your edge among others. There will be times when you will find yourself in difficult situations like market crashing, unsatisfied clients etc. In such situations, you have to handle the pressure calmly and like a professional. This field is known for cut throat competition and people can be difficult to work with, at times. Also, you have to always meet clients, build good relation with potential customers, etc. For all this, you need to be street smart and good with your communication. The more you try to search about a topic, the better your work turns out to be. So, try to research well while working on a project. You can use Internet, books, question the client, and know client’s views and opinions, read other relevant articles. Having through knowledge of search engine optimization and search engine marketing are the key tools of this field. So, make sure you have at least the basic idea of these two before you go into this field. Data analytics is the central strategy of all the digital marketing companies. You should try to find and develop good solutions, ideas to judge the needs of your clients and then work towards building the traffic for your website or company. Digital marketing is all about information technology. So, it is good to have a nice grip on the new technologies. Be a quick learner, so that you can adapt well to the changing world of technology. A smart content writer or a person working in this field is the one who know its audience and their needs. You should be able to produce contents which are top-notch, SEO- friendly. Try to incorporate videos, pictures, flowcharts etc. to make it .ore sensible and engaging. With digital marketing, it is very easy to promote your work or your company. Right from posting on various social media platforms to paid channels and display of ads, you can do it all. To be popular among masses, you should be good at selling your work through these tools. In today’s time, almost every business has its own online portal. Infect some companies run their entire empire via a website only. Well, if you own a website or maintain a company’s website then you must be aware that it is extremely important to assess the website’s performance from time to time. The performance of any website is measured by the amount of traffic it withdraws. But, how to get this measurement and analysis in the first place. Don’t you guys worry, as Google has provided tools for this work, that too absolutely free of cost- called the Google Search Console. Google Search Console is a free service provided by Google. It helps the owners of the various websites to easily keep record of their work, and track the performance at the same time. It assists you to monitor your website and get valuable insights about the same. Though it is not compulsory to sign up for this service, in order to get a position in Google’s Search engine, but if you do so; it will help you to get a thorough idea of how Google views your site and how it optimizes it’s performance as well. Why using Google Search Console is a good idea? It helps Google to access your content and helps your website to get better ranking on the search engine. 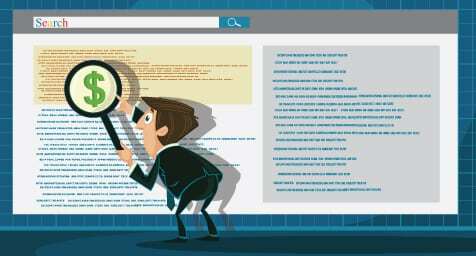 It filters those contents from your website which you don’t want to be shown in search result. It keeps a track of those content which are capable of delivering visually engaging results. Google Search Console also solves all the problems related to malware and spam which create unwanted hindrance to your website’s performance. This tab enables you to analyse the pages and keywords which need more optimization and attention. This helps to improve the ranking of your website on Google Search. Errors and warning which led to issues in indexing of the pages from your website. AMP tab stands for Accelerated Mobile Pages. It warns you about the errors which may occur in your URL from time to time. You can fix the issue and then request for a validation as well. The GSC will validate the fixed issue, so that there is no scope of error. This tab will enable you to list all the job openings you want to post on your website. It also provides states about the responses coming on the job openings and the traffic it is attracting. This feature provides you a feedback on all your mark-up events. This section within GSC helps you to keep a track on the number of links from other websites, which points to your website. This tab prompts you whenever your website get penalized by Google. So, if you are concerned with performance of your website, then Google Search Console is your cup of tea. 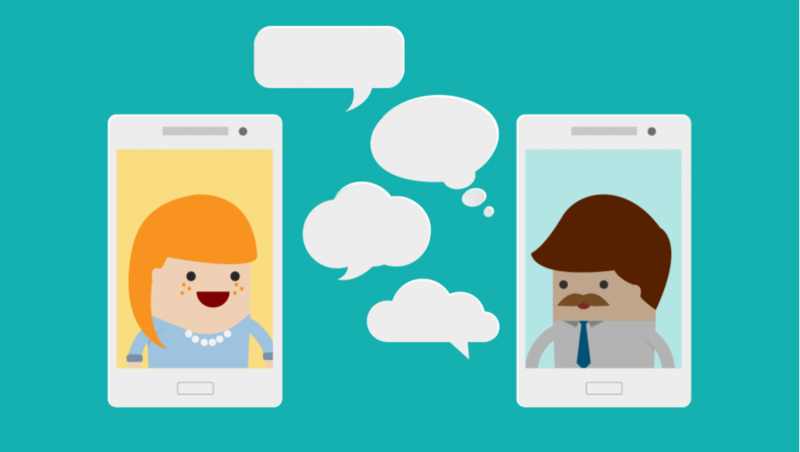 You would wonder why team-messaging apps are required when you have so many of instant messaging apps to communicate. Well, these apps help organize team conversations about different topics at the same time as well as give you the freedom to search for the question’s already answered. In addition, you do not need to search for the email addresses or contact information of your company’s employee. These apps also offer conference video calls, screen sharing, private messaging and discussion groups. It helps to keep all communications in one place, which makes it easy for everyone to communicate. “Searchable Log of All Conversation and Knowledge” or Slack is an easy to use platform wherein you can join chat rooms based on the topic, and can also join private groups and enjoy direct messaging. All the content inside slack is searchable including files, people and conversations. It offers a feature known as Teams, which allows groups, communities, or teams to join using a particular URL or invite sent by the team admin. HipChat is a web service for the internal private online chat and instant messaging. Hipchat offers one-on-one and group/topic chat. Other features include cloud-based file storage, inline-image viewing, video calling and searchable message-history, 5 GB of file storage and SMS messaging. Custom emoticons and inline GIF playback are also noticeable features. Workplace by Facebook allows you to communicate via different groups, to chat with employees and offers the features of the social network for your company. Walmart, Spotify, Air Asia, and Starbucks are noticeable clients of Workplace by Facebook. It is also free for registered nonprofit organizations and staff of educational institutions. It allows users to configure different apps and integrations from their App Store, and receive notifications and updates directly into Flock app. The app supports multiple languages, including English, Portuguese, Russian and Spanish. You can create multiple teams for the entire company, a department or selected members of the organization. Microsoft Teams is a wonderful platform that helps you organize meetings, make notes, join chats and send attachments. You can easily integrate Microsoft Teams with the Office 365 subscription including Microsoft Office and Skype. It has channels that are topics of conversation that allow your employees to communicate without the use of email’s or SMS (texting). Users can also reply to posts using different images, GIF or custom-made memes. Pay Per Click or PPC budget is a tricky one for a business as it requires planning and calculations just like any other advertising strategies yet it is something that may be considered to pull up the sales to a desirable platform where other means may be failing. 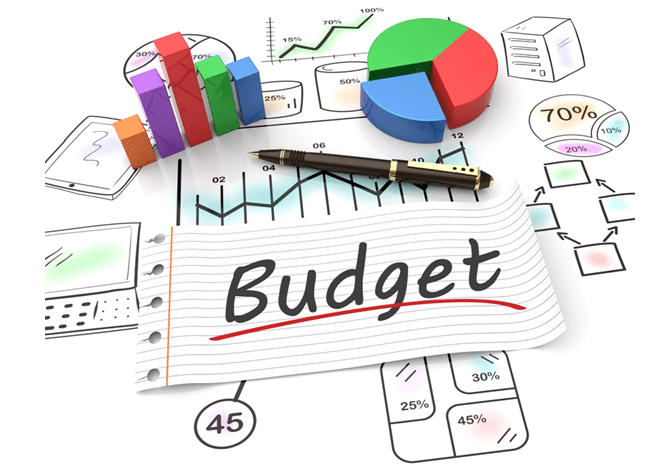 First, planning is required to determine the aim you wish to achieve with this budget. The main aim is acquiring a desired or estimated number of customers while paying not beyond a specific limit within a set time period. Therefore, the objective is something that is specific, can be measured and achieved, relevant and also time bound. To determine the budget, certain formulae can be used to determine possible conversions of prospective customers and accordingly a budget can be set. But it’s not that easy. 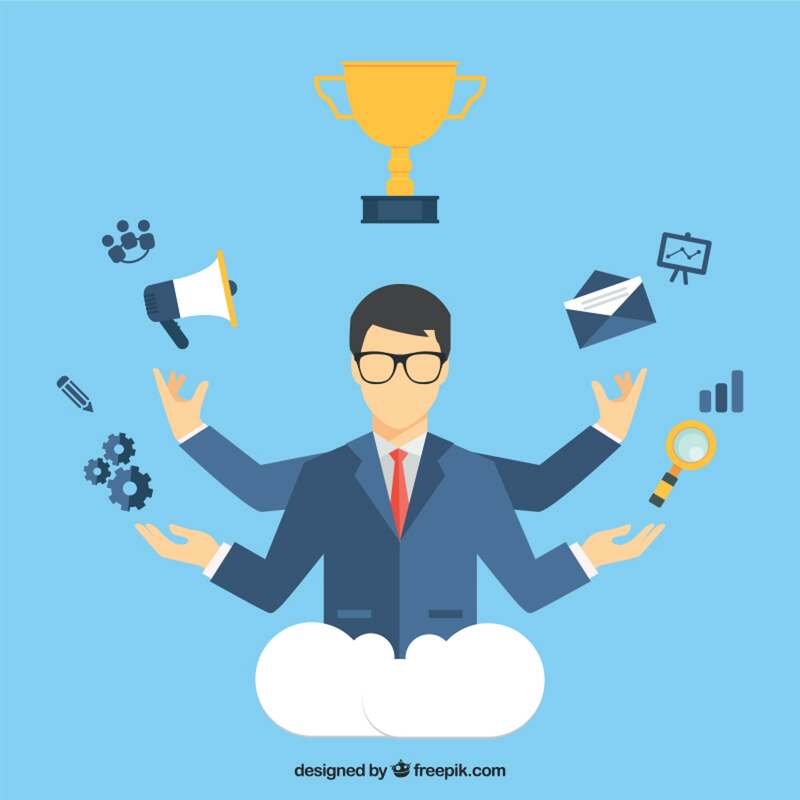 You will also be required to determine competitor’s activities with regard to paid advertising strategies, researching on appropriate keywords and also cost per customer. How to determine lead generation? Let’s first consider the formulae available to decide upon lead generation. If we fill the equations with some real numbers, we will arrive at a possible lead generation value through which we can determine if the PPC budget is worth considering or not. If it’s worth it then, we go to the next step that is to analyze competitor activities. Analyzing the Google AdWords of competitors is the next step which can be achieved using software like SpyFu and Moz Pro. These can give you lot of details about expenditure, keywords that are targeted and advertisements. Accordingly, a rough estimate can be drawn to guess the budget of competitors. However, that’s not enough as it’s the keywords that determine the volume of traffic and also the cost effectiveness. Based on results, you can determine the budget either by increasing keywords to achieve the business objective or whether the leads which pour in through other advertising means like social media, SEO and email should be increased. 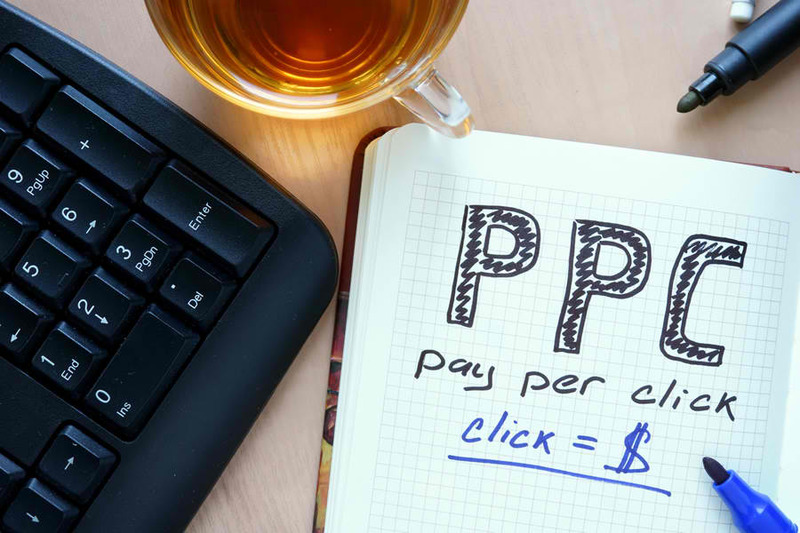 Determining a PPC budget is challenging in the sense that lot of assumptions and pre-conditions have to be decided based on various factors like previous experience and research of variables and doing the calculations to reach a plausible amount of expenditure. The main aim is to fill up possible gaps present in rest of the advertising strategies while remaining within expenditure limit. PPC (Pay-Per-Click) campaign is used by various companies. According to marketers, PPC is associated with an incredible value in order to create the business awareness among the mass. Some companies find it a very successful means to grow their business, but some of them can’t succeed with this. Using PPC, many companies grow their business from small customers to a large number of customers. But, because of some silly mistakes, some companies end up the story by wasting a huge amount of money. Actually, the problem of failure can be the result of some most common mistakes. The companies that properly monitor, test, and execute the campaign, hardly face any depressive situation with PPC. So, in this article, we will talk about some most common reasons behind the PPC failure. Let’s catch them one by one. The fact is that most of the companies don’t spend much amount of money to test the combinations of the keyword, to get sufficient leads for improving quality score, to get the correct strategies of keywords and so on. But, to taste the joy of success, the first investment should be larger than the monthly PPC expenditure in order to test, improve, measure and build expectations on the quality of leads, CPL (Cost per Lead), and the value of the conversion. PPC is not about a single project, but it’s a continuous process that requires a significant amount of time for improvement and should be managed by an efficient marketing team. Most of the customers don’t want to purchase from the PPC click campaigns. At first, they want to perform a thorough research before taking their decision. The companies generally provide a number of options to convert the search visitors into the engaging customers. Some of these options are subscription, demonstration sign up, white paper download and so on. If the visitors are not signing up, it doesn’t necessarily mean the company will not get the traffic to its program. But, the companies have to keep their eyes on all the conversion options and the visitor activities that may convert into conversion. Some of the customers can start showing their interest through white paper downloading or e-mail subscription, so you should always alert with your customers’ options of interest. This way, these interests can be included in the PPC campaigns. Many companies have only one landing page that serves for both of the organic purpose as well as paid traffic purpose and most of the time, they are not associated with any campaign tracker to differentiate these two purposes in the analytics. PPC can be a superb strategy in this regard. 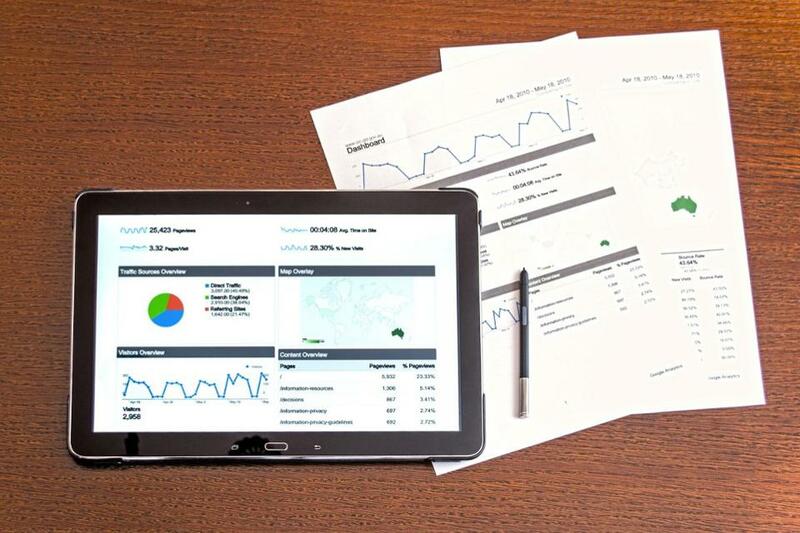 But, a professional analytics team is required in order to distinguish between those two purposes as well as measure the PPC campaign success. The design of the landing page should be eye-catching so that the customers can feel the enthusiasm engaging with the site as well as the content of the landing page should be interesting and simple enough to attract the mass. The goal related to PPC should be clear enough in order to achieve the success. With the crystal clear strategy, you don’t have to end up the story by only wasting the money that is you can get your desired success. 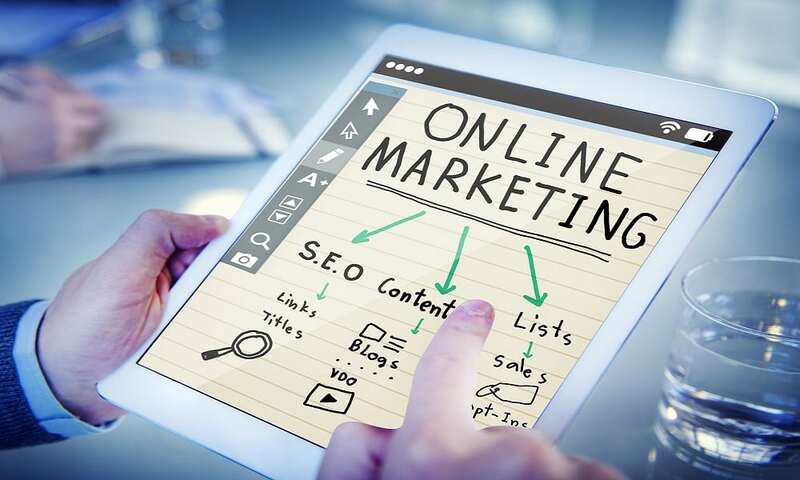 When it comes to selling your products and getting the maximum profit from your business, it is important that you make the most of your digital marketing campaign. 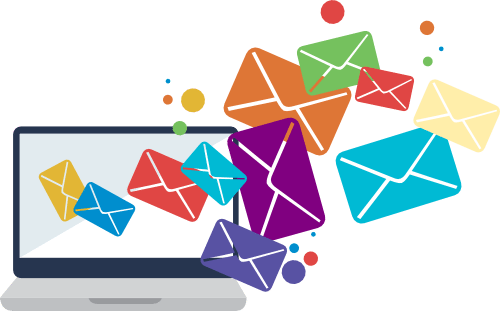 Even though direct emails still remain as one of the most effective and reliable modes of reaching potential buyers, digital marketing can help you in achieving this goal at a cheaper cost, considering the high cost of link generation in certain sectors. There are many things that you can do to improve and boost your digital marketing campaign so that you get the maximum reach and profit from your business. We have made a list of some of the most reliable and effective methods to achieve this goal and help you improve your business. Even though social media accounts like Facebook, Twitter and others might be more popular among the younger generation, up to 35 percent of the seniors above the age of 65 have accounts on Twitter, Facebook, and the likes. The amount of reach and target audience that you can reach with the help of social media is virtually infinite. Therefore, it is important to take the maximum advantage of social media to improve your business. The fact still remains that most people prefer to use articles and other sources of information when compared to advertisements and other promotional materials to get information about a new product or service. Therefore, it is a good idea to start a content marketing campaign. The aim of the campaign should be to educate the user. Therefore, fill your blogs with articles and other contents that are related to your target market. You can also optimize your content in such a way that it is easily visible to the search engine and gets you more traffic. The most effective way of reaching out to your potential customers is to display your ads next to their search results. By geotagging your PPC (pay-per-click) campaign, it becomes easier for you to meet the local prospects. I cannot stress the importance of optimizing SEO enough. But even then, people tend to leave out the fact that optimizing your website is one of the most effective methods of improving your traffic. By optimizing your SEO, your search engine ranking can be increased and you become more prominent in the search list. Your blog is no good to anyone if they cannot find it. In this digital era, the take-home information and resources are substituted by downloadable content. These can be in the form of case studies, eBooks, and FAQ which help the audience to get to know the product without cluttering their rooms. You can also create presentations as they can help save time. It is also a more eco-friendly means of sharing your information, which means you are doing your bit for saving the planet. Keep these things in mind to strengthen your digital marketing campaign and boost your ROI. Do Search Ads Really Work? An integral part of any company’s success and profit is based on its advertisements and how these advertisements attract more customers and traffic towards your business. Advertisements are a common thing today. You can see advertisements no matter where you look, from billboards and walls to our televisions and mobiles. Even the internet has become a big gathering spot for all kinds of advertisements and marketing campaigns. Like we know, there are many different types of advertisements that you can choose to tell the world about your products or services. One of the types of advertising in internet marketing that has grown considerably in the past few years. Search advertising is the process of showcasing online advertisements on the web page along with the results. It is highly recommended to focus on your advertisements along with other published content to reach a larger audience. But unlike the yesteryears, when it was not possible to keep track of your advertisements and if or not it got more sales and traffic, it is possible to make sure that you get the maximum from your advertisements. With the help of companies like Facebook and Google, which enable you to track the online activities and spending of a user, it is possible to make sure that your ads reach the right person who is most likely to buy the product. There are various studies being conducted on the topic of whether or not search ads are effective in boosting sales. But in theory, you have a higher chance of getting sales and profit from displaying ads to people who are looking for the item rather than to create static banner ads. But in certain cases, it has been found that investing in search ads might not have that much of a visible effect. For example, eBay noted no considerable change in their traffic or sales when they took down their search ads from a search engine giant. But there are a lot of success stories related to search engine ads. A research on the Yelp ads has shown that the use of search ads can make a considerable difference in the number of sales and traffic to your website. Even though the two results might seem contradicting, the change in the results can be easily explained by the fact that eBay is a well-known and renowned brand. To advertise something that people already know yields lesser result. But whereas in the case of local businesses in Yelp, they were lesser known and got more publicity. This isn’t to say that bigger and more renowned companies shouldn’t use search advertisement. Search advertisement is still one of the best ways of getting sales and publicizing promotions. It can also be used to alert the customers something that they are not aware of. Using ads and your marketing campaign is one of the easiest ways of getting more sales and maximizing your profit. With the correct information and tools at your disposal, it is possible to make the most out of your website. Pinterest is a social network, through which users can visually share their interests by posting images and videos or develop new interests by seeing what other people have posted. Its goal is to connect people through things they are mutually interested in. Lately, Pinterest has released a new feature which allows people to advertise and promote their business on this website. Advertisement on Pinterest is given using Promoted Pins. These are paid Pins which appear at places which are more likely to get noticed. The Promoted Pins that one sees are based on how one uses Pinterest, his interests and things he looks upon this site. These may also appear after one visits advertiser’s site. Promoted Pins can also be removed, and the app uses this feedback by the users to make sure that in the future, they get to see the Pins they are interested in. Since Pinterest ads became available only recently, many people have doubts regarding this marketing strategy. This article will tell you why you should advertise your business on Pinterest. Advertisements on other social media platforms appear when we least want to see them. For example, on Facebook, if I’m browsing through my News Feed, I would like to see pictures and status updates posted by my friends, rather than an ad about a product which I looked up for a while ago. Pinterest shows Promoted Pins only to users who may be interested in it. The managers of the website have it clear in their minds that these ads are not supposed to annoy users like it happens on other social networking sites. With millions of people using it every day, ads are likely to be get noticed by a large, receptive audience. This converts browsers into genuine buyers as these browsers get to see the ad only because they actually have an interest in it. Therefore, using Pinterest ads by promoting your pins is a great idea to boost your business, and reach a large user base in lesser time. An Analytics Dashboard was introduced by Pinterest so that business owners can get a better understanding of how people react to the content they post. These are statistics which provide an insight into the number of visits, re-pins, likes, and other impressions a piece of content receives. An access to such statistics allows business owners to know the popularity of their product, and when they need to improve or bring about a change in their posts. This helps them recognize the demands of the consumers and keeps them updated with the new trends. It is rightly said that a picture is worth a thousand words. People tend to find pictures more attractive than text. 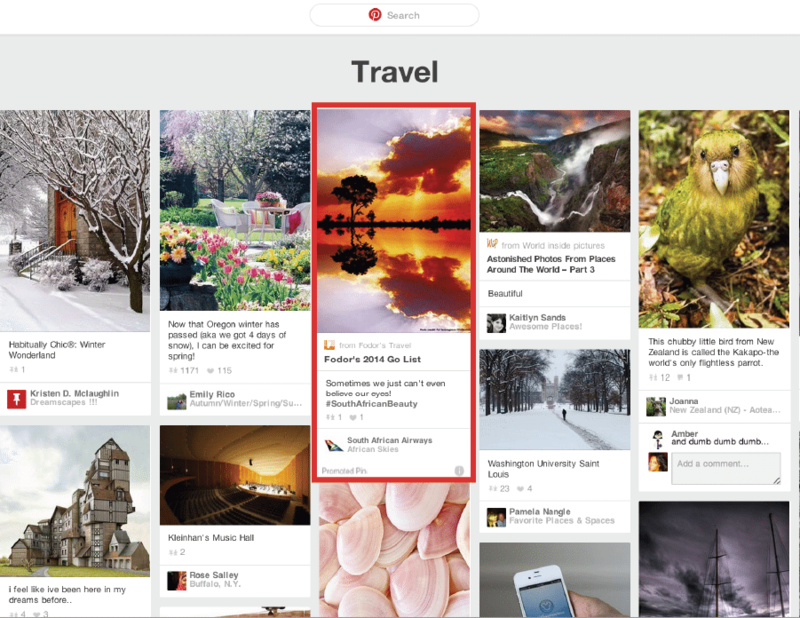 Pinterest is a picture-based platform and appeals to its users through creative images. Using this website for business purposes allows people to be innovative in approach and attract customers with the help of creative images and videos. By promoting these pins, viewership can be significantly increased. We hope this article removes the dilemma of using Pinterest for advertisement! If you have just started your business and are looking for the quickest and best way of increasing its revenue, without much of financial investment, you should go in for Pay per Click or PPC. For a startup business, it may not be possible to adopt the SEO techniques and face the competition for selling their products. Before going in for PPC, you should make a mindset with regard to the expectation from the campaign. At the same time, you need to be aware of the tracking, analysis, and testing of the PPC campaign. The below are the 5 ways to know if PPC is right for your business. If the target keywords of your business can be easily ranked for low or medium competition, then PPC may not be the right choice as a part of a long-term plan of online advertisement. In case, however, you find that your keywords are not in a position to be ranked for high competition, you will find PPC, the right choice for your business. If you are a startup B2B Software company, you can have an online visibility to your target audience by adding search ads on PPC. You can use PPC for promoting a general product, service keyword or banner ads on websites. You can increase your brand authority if you have an organic listing on the first page of Google and Bing keywords. PPC will be right to hone your brand personality because it drives more traffic than organic search. PPC is right for your business if you are promoting an event, growing your email list or creating a new content. When you have a new e-book, you need blasts of bulk emails so as to reach to all the media contact. You can combine PPC with the contextual targeting via keywords for the best result. PPC will be right for promoting a webinar, e-book, press release, white paper, press release. Don’t overspend and be within your budget by adopting PPC campaign. If you are running a small business, you know the value of a cost-effective marketing tool. In this regard, one of the best options available to you is email marketing. Not only does it go easy on the pocket, but it also establishes direct contact with your potential clients and thus forms a solid bridge between the marketing team and the leads. With the growth of technology, email marketing is becoming a rather popular concept. For the same reason, there are a number of tools made available to you. Let us go through some of them. Having a rather comfortable and easy interface, Mailchimp is one of the most popular tools for email marketing. The best part about this tool is its user friendliness. It can smoothly work with platforms such as WordPress and to give you the best results. Besides, there are a number of features that prove to be useful for the users. For instance, the email creator, auto responder are some of the popular names in this regard. Their free plan starts at 12000 emails for 2000 subscribers beyond which the monthly plans start at $10 only! This is yet another popular tool in the field of email marketing tools. What this does best is combine your email marketing strategies with CRM and the product is a refined marketing process. The fact that is easy to use on other interfaces like the smartphone makes it a rather useful concept. Talking about the charges, the monthly plan starts as low as $9 which makes it an affordable option for small businesses. The additional advantage is the fact that this tool can gather information about your potential target audience with only the email addresses! This tool has been made especially to cater to the needs of the small and medium business enterprises. If you are an amateur entrepreneur, this application can make things even easier for you. Its seamless connection with platforms like WordPress makes it a suitable catch for online marketing strategies. This is a more simplified version of an email marketing tool and best suits the requirements of a beginner. Some of the features allow the tool to facilitate automated campaigning which is a boon in today’s world. With the presence of responsive landing pages and forms, it makes it all the easier for you to reach out to your target audience. It provides you with a 30-day trial beyond which plans start at $15 only! Constant Contact makes things easy and simple for you. It comes with a comfortable interface, where you have the option to manage emails and contacts, have media sharing tools, an image library, and storage of 1GB! This gives you ample storage space for your files. The monthly plans start at $20 which might be a little steep on the pocket as compared to its contemporaries, but the 60 day trial period will show you how it is worth the money!